Disease is a reality of life, and cancer is one of the most common reasons why people seek medical care. Chances are that during your child’s lifetime, they will know at least one person who has been affected by cancer. Therefore, having the tools and knowledge to talk to them about the disease is extremely important. Recently, there have been numerous breakthroughs in the diagnosis and treatment of cancer, which has given people hope who previously had none. At the same time, as people continue to live longer, cancer will only become more common. This is because the more times that cells divide, the more opportunities there are for something to go wrong. This can lead to the development of cancer. Here are a couple tips to navigate a loved one’s cancer diagnosis. 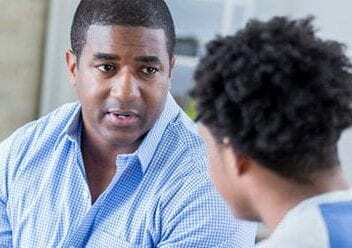 One of the most common questions that healthcare providers face when delivering a new diagnosis of cancer is, “what do I tell my children?” When a family member has been diagnosed with cancer, parents feel the pressure of explaining the diagnosis to everyone. Ultimately, even children of young ages have heard the word “cancer” on TV, in the movies or in the news. Children often associate cancer with a negative outcome, leading parents to worry about upsetting their children. While, parents may feel the urge to hide the diagnosis from their children. Kids are sensitive and will pick up that something is wrong. If children aren’t told the truth, they might imagine things are worse than they are. Even scarier, children might even think that they are the cause of the problem. Good communication with children is vital. 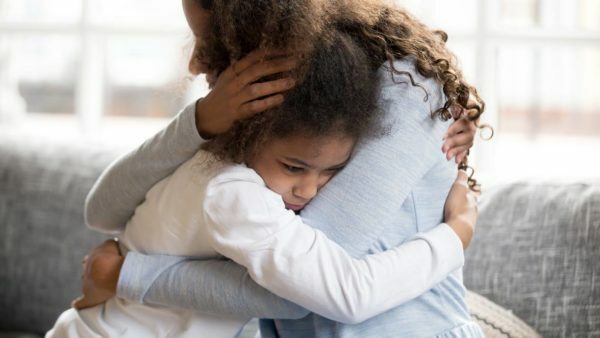 Telling a child that someone they love has been diagnosed with cancer isn’t easy, particularly when the individual is a parent, grandparent or sibling. There is no doubt that the diagnosis is going to impact the family. It is important for parents to be honest with the child. How much to tell the child is up to the parent and might vary with the age of the child. A couple talking points to keep in mind. First, tell the child that their loved one is sick with a type of cancer. Explain that cancer is different than other illnesses, and it often requires long and difficult treatments. Also, comfort them in knowing their loved one is getting the proper medical care, and doctors are working hard and will do everything possible to help their loved one. Be sure to tell the child that it isn’t their fault, and it’s okay to feel whatever emotions they are experiencing. Note: all children handle the news differently; they may laugh, cry, be angry or not react at all. Be understanding, patient and available if they have any questions as they process the news. Finally, know that it is okay not to have all the answers. Nobody knows what the future holds, and cancer is an intricate disease. Take advantage of this as a learning experience. Explain to the child that there are things that they can do to help boost their loved one’s spirits. “Get Well” cards a great idea. Let children have a hand in preparing meals. Allow children to go on trips to visit their loved one, but first explain why their loved one might look or act differently, and make sure they understand not to take it personally. Eventually, with your help, children will adjust to the new normal. Parents are the best judge of the developmental stage of their children. They oversee deciding how much children can hear and what needs to be hidden. An elementary school child likely will not understand the intricacies of chemotherapy, radiation and medication choices. On the other hand, older children, particularly teenagers, might be able to hear about the illness in the same manner as an adult. Parents need to think about how much to tell their child and how this message should be delivered. If possible, parents should communicate with each other and come up with a plan. Parents need to be on the same page and deliver a consistent message. This consistency will help children understand the reality of a cancer diagnosis, and how it will impact their day to day life. Unfortunately, people of all ages can develop cancer, even children. Therefore, it is important for everyone to understand some basic points about how to talk to children about cancer. How do you explain the disease and possible outcome to children? Furthermore, how do parents address cancer with their children if their child is the one who was diagnosed? A child’s cancer diagnosis is heartbreaking news to a parent, and the fear of the unknown becomes real. Children can sense worry and fear in the voices and on the faces of their loved ones. This is okay if the diagnosis is explained clearly and honestly to the child. As mentioned, if children sense something is wrong and don’t receive information from their loved one, they may internalize the issue, blame themselves or incorrectly guess what is wrong. Like other situations, what to say is going to entirely depend on the age of the child. First and foremost, parents need to be direct and open during the conversation with their child. Read the child’s reaction and do your best to be strong and give them the support they need. Explain to the child that the reason they are not feeling well is because of cancer, and what that will mean for their treatment plan and near future. Reassure the child by letting them know the doctors are going to do everything they can to help. Most children are afraid of pain, so be sure to talk with the child about any tests or treatments before they happen. If the information is available, let the child know how long they are going to be in the hospital and when they can go home. Most importantly, don’t be afraid to tell the child, “I don’t know.” Honesty is important. It is a good idea to think about what to say ahead of time and anticipate any questions that might come up. In the end, talking about cancer with children can present a major challenge for many adults. Cancer is a complicated disease that even many adults struggle to grasp. Therefore, it is tough to talk to children about the disease. There are many different factors that parents need to consider. Parents need to think about where their child is at developmentally when thinking about what points to address and how to frame them. Furthermore, discussions about death and dying are even more difficult. Ultimately, parents with questions or concerns need to know that support programs and services are available. The oncologists at SERO specialize in multiple areas of medicine when it comes to cancer, especially when it has to do with children. If you need help during this trying time, give our offices a call or contact us online today.